Thane is the city cosmopolitan city having historical temples, lakes, hills, ancient churches, forts, resorts and amusement parks. This city has gained a reputation of a business hub replacing its previous distinction of an industrial city. The ever-growing and prospering city near Mumbai is also ahead regarding the number of hotels. People of different status are trying to get hotels of various types according to their budgets. Keeping this in mind hotels to stay in Thane provide various types of services matching the needs of these people. Some of the visitors are looking only for lodging, while others focus on both accommodations and food. Some of the hotels keep a specialty in providing a particular cuisine like Chinese, Arabic or European. Budget hotels in Thane are the type of hotels which are in great demand as these hotels provide maximum amenities at affordable costs. Many hotels in Thane offer additional facilities like spa and fitness center to attract more customers. But there was need for a hotel in Thane which will provide more facilities under one roof. 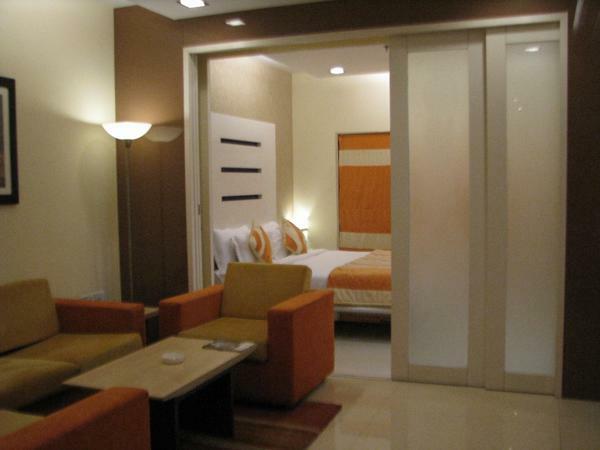 This was fulfilled by our hotel in Thane by the name United-21, offering variety of facilities under one roof. The hotels providing just lodging and boarding facilities are spread near Thane railway station, while some prestigious hotels with prime facilities like swimming pool and fitness centre are located bit away from the station inside the heart of the city. Resorts are another fascinating type of hotels located little away from the buzz of the city, where mostly people come for a day’s entertainment along with sumptuous food. They are mostly visited by groups of picnickers or families trying to spend some peaceful time in the vicinity of nature. These different types of hotels cater to the need of variety of people with unique choices as well as budgets and offer spacious rooms in Thane. Whenever you are in search of best accommodation in Thane, avoid last minute disappointment by just contacting our reception at Hotel United-21 in Thane. We will surely help you out in making arrangements for your comfortable stay.